A monumental thanks to all our ambassadors for their support! Join QuizWitz, the online party quiz game by CatLab Interactive. Together we can build a complete quiz experience, from creating to playing. By transforming your smartphones, tablets and even laptops into game controllers, everyone can join the fun. 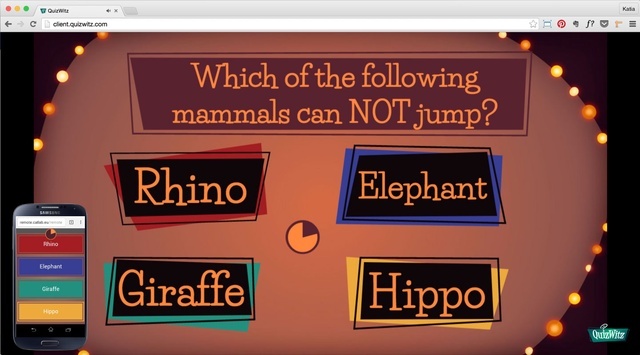 At the same time, you can create your own quiz rounds about anything you like in the online community. Join us to unite quizzers from all over the world! QuizWitz is platform-independent and can be played on any device. You simply open the game on a big screen, gather your friends and connect the smart devices by entering the unique game code generated each round. The community network allows you to register your own account and start your personal collection of quiz rounds. You can try the beta at QuizWitz.com! We decided to look at quiz games in another way. We wanted to offer the whole quiz experience, and over time, QuizWitz was born. It has grown a lot, and we're very proud of what we've achieved so far. Over 100 people have registered an account, and at the conventions we attended, everyone enjoyed themselves. Right now, we want to do more, and that's where you come into play! Our goal is to keep developing QuizWitz. We want our game to be available on as many platforms as possible, translate into every language out there and develop new round types. We’re thinking of making players buzz before they can answer, or vote on each other’s imitation performances. Of course you will be able to create these types of rounds yourself. We really want everyone in the world to be able to test and share their knowledge! 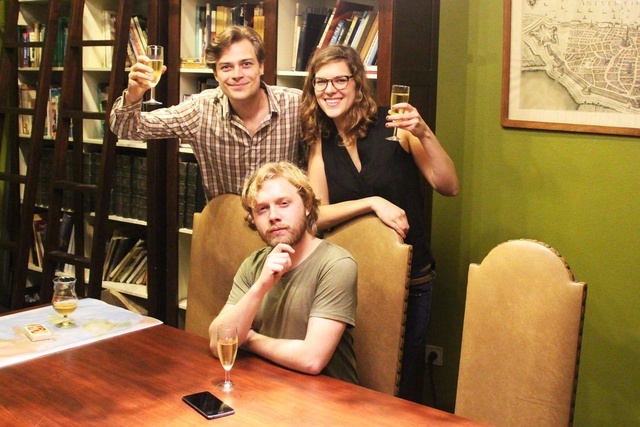 QuizWitz is a community-based game and that’s why we work with accounts that can be upgraded. A free account is called the “Quizzer” account and limits you only in the amount of quiz rounds you can collect. You can of course create your own rounds too! The Premium account is called “Quiz Collector”. It allows you to collect and create as many rounds as you like, as well as create packs to manage your quiz rounds. Once you upgrade, the full game is yours forever. The Pro account is called “Quiz Master”, it allows you to create fully customizable quizzes and embed them on your own website or blog. This account type is paid monthly, but grants you access to every feature available. The Steam Early Access key allows you to play the game directly via Steam. Early Access means you’ll get the game even before it officially launches. With your feedback, we'll be able to bring the game to the next level. QuizWitz could be used in many different ways, and this is one of them. With your support, we want to organize a live event that takes a quiz evening a step further. We want to bring the technology we use for our party game and live quiz events together. There will be a host, spotlights and of course, winners! Support us with this reward and help us to organize the event of our dreams! This set of physical playing cards will give you 240 questions, allowing you to bring your friends and family together, even if there's a blackout this winter! The set will consist of 40 cards, each card consisting of 6 questions in different categories. If you choose one of these rewards, we will work closely together with you on a more personal level. 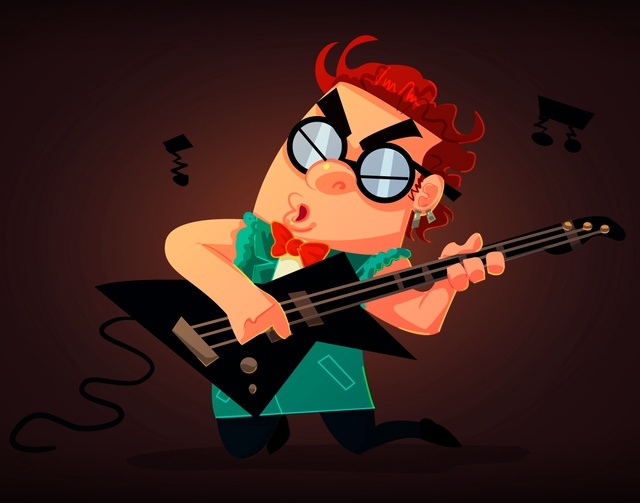 In the first case, our artist will transform your picture or favourite image into a QuizWitz-style cartoon. With your permission, other players will be able to see you instead of Ted. If you want your laguage or dialect to be in the game, we will find someone with voice acting skills to voice your dialect! Of course you can help us with these tasks ahead. However, we’re not aiming to add a fantasy language into the game just yet. Thijs is CatLab Interactive's founder and lead developer, he's better known as the Alpha Cat. He studied computer science and created his first game, Dolumar, when he was still a student. He used to work as a consultant before starting the studio in 2014. Together with freelancers, he developed both the party game and the community network. Ken is the Talking Cat, he takes care of communications and game design. He studied Project Management, Concept Art and Cross Media Management. He's a fantasy and scifi fan and loves to write himself. Ted's comments are from his hand! Last but not least, there's Katia. She's the web designer and junior developer. In the past, she studied Cross Media design, but she wanted to know more. Right now she's studying Devine which stands for Design and Development. She created the websites for both CatLab and QuizWitz, as well as the designs for the community network. Together, we’re CatLab Interactive, a young game studio from Ghent, Belgium with a thing for facts and cats; our CatLab cat’s name is Pluisje! We’re a team of three with very different backgrounds, but the same goal: to bring the quizzing community together. This FAQ will grow as we go! Send us your questions about QuizWitz and we will add a response here! Got any trivia questions? Become part of the community! 1 ticket for QuizWitz Live! 1 pack of QuizWitz playing cards! 1 pro “Quiz Master” account for life! 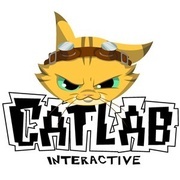 All games CatLab Interactive will ever make for free! Your name in the credits of each game! Your face or favourite image as a cartoon in the game! Dinner with the CatLab Interactive team! 5 tickets for QuizWitz Live! 1 pro “Quiz Master” code with no expiration date! Your face or favourite image in the game!